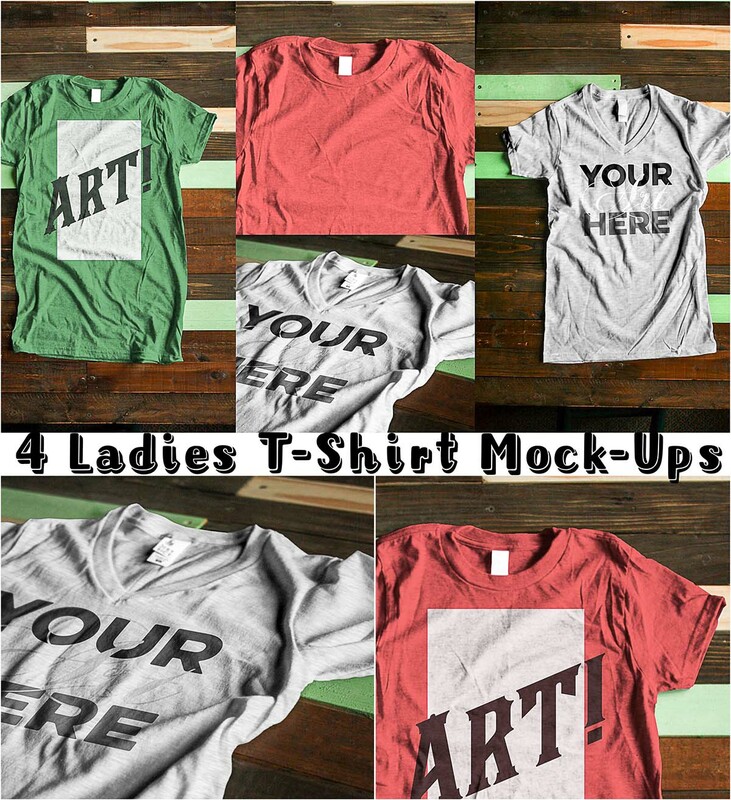 In this pack you will find two crewneck and two v-neck ladies apparel mock ups into one set. The color can be adjusted on each apparel item. Perfect for client design mock ups or social media. File format: .psd, .ai for Photoshop or other software. Tags: apparel, clothes, fashion, lady, print, shop, t-shirt, T-shirt print, v neck.